M80 - Ogee with Champhers shown in Nabresina Limestone - available in all colours. 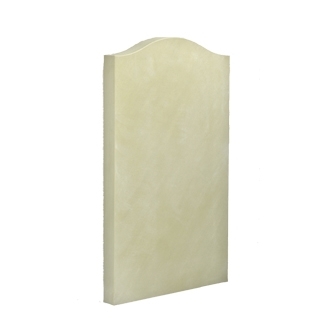 M81 - Round with Ogee Shoulders, Champhers and Rustic Edges shown in Purbeck Limestone - available in all colours. 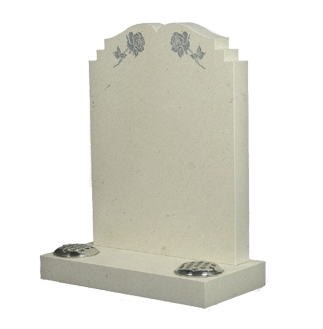 M82 - Serpentine with carved Rose on top edge shown in Nabresina Limestone - only available in Limestone & Marble colours. 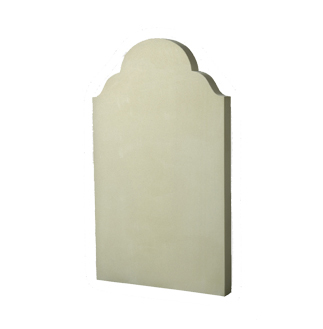 M83 - Rustic Ogee with Champhers shown in Purbeck Limestone - available in all colours. 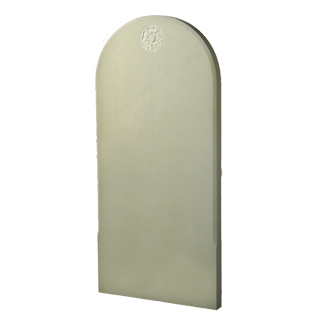 M84 - Open Book Top with Checked Shoulders and 2 container holes shown in. 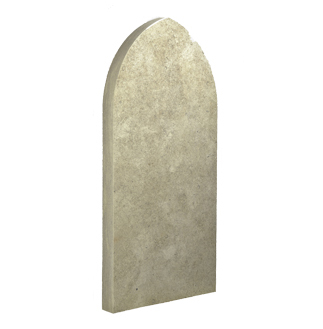 Auresina Limestone (Sandblasted Rose design optional) - available in all colours. 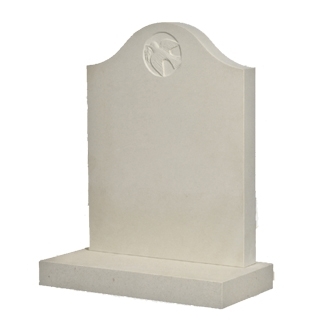 M85 - Ogee with Carved Dove shown in Portland Limestone - only available in Marble, Limestone and Slate colours. 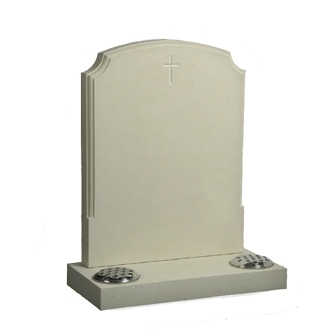 M86 - Half Round with Scolloped Shoulders, carved Cross and 2 container holes shown in Portland Limestone - available in all colours. M87 - Ogee shown in Portland Limestone - available in all colours. 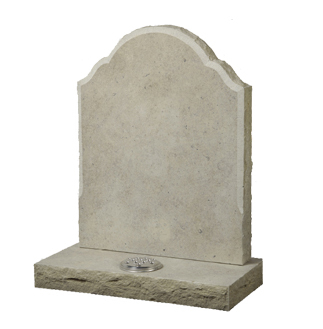 M88 - Half Round with Rounded Shoulders and carved Roses shown in Nabresina Limestone - available in Marble, Stone & Slate colours. M89 - Full Round Churchyard Memorial with Flower design, shown in Portland Limestone - only Limestone, Sandstone and Slate colours available. 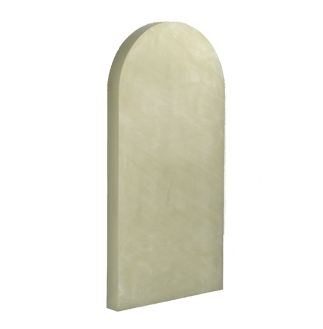 M90 - Gothic Arch Churchyard Memorial , shown in Purbeck Limestone - only Limestone, Sandstone and Slate colours available. M95 - Ogee Churchyard Memorial, shown in York Sandstone - only Limestone, Sandstone and Slate colours available. 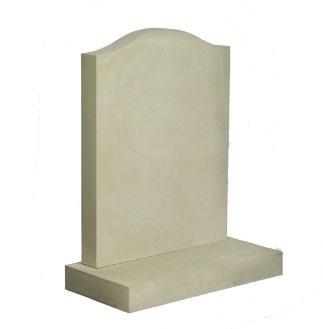 M96 - Full Round Churchyard Memorial, shown in York Sandstone - only Limestone, Sandstone and Slate colours available. 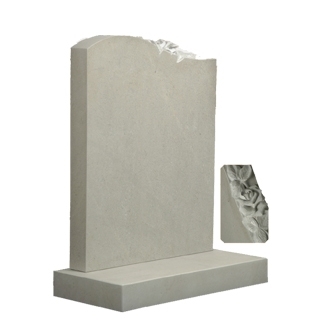 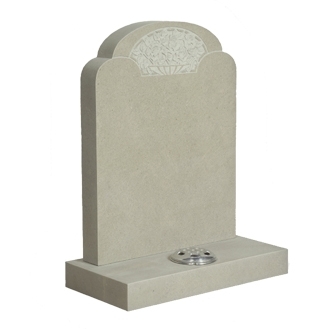 M97 - Half Round Churchyard Memorial, shown in Nabresina Limestone - only Limestone, Sandstone and Slate colours available.